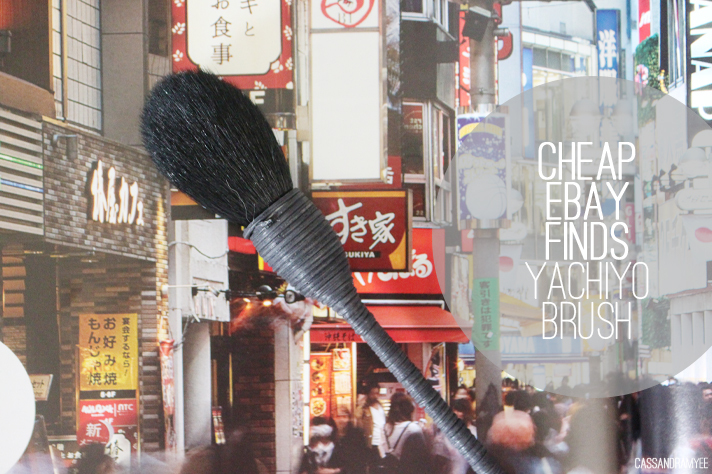 I've discovered some pretty great cheap eBay finds before, including this 217 brush (that looks very similar to its original...), and it was Anna from Vivianna Does Makeup who was using the very strange, but beautiful looking NARS Yachiyo Brush, which retails for USD $55 via. 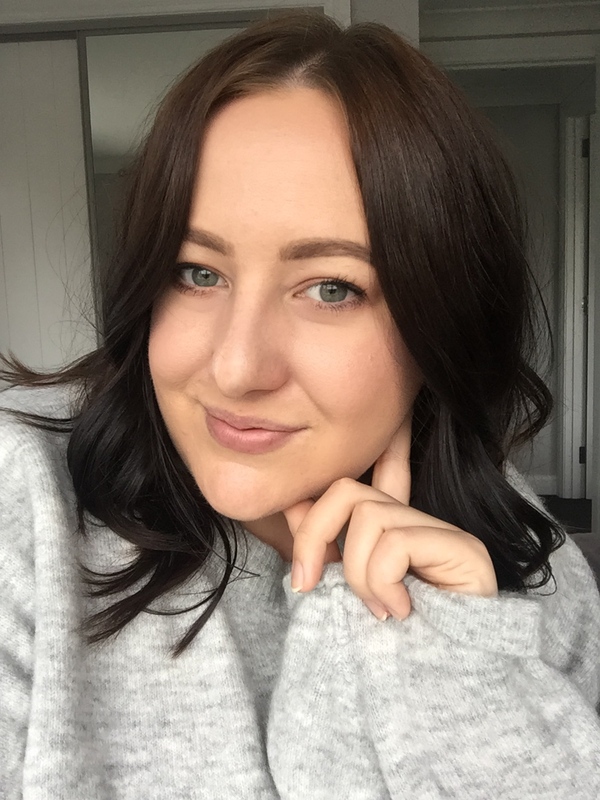 Sephora or NARS, or NZD $108 via. Mecca Cosmetica here in NZ. I did a quick eBay search to see what was around, only to find this very cheap dupe (well, knock off) that looks particularly similar to the NARS one. But this one only set me back NZD $8, with free shipping. Now don't get me wrong here, if I could purchase the real NARS brush I would do it in a heartbeat, but my current student budget just doesn't quite stretch that far for a single brush. Buying this brush for so cheap meant I knew it was never going to be as good as the original and it definitely has some issues, such as a few bristles falling out and some black dying running from the wrapped part when I washed, but these are things I can deal with. I have welcomed this brush with opened arms into my makeup routine, for one purpose only - highlighting. And boy, oh boy, is it the perfect brush for that. 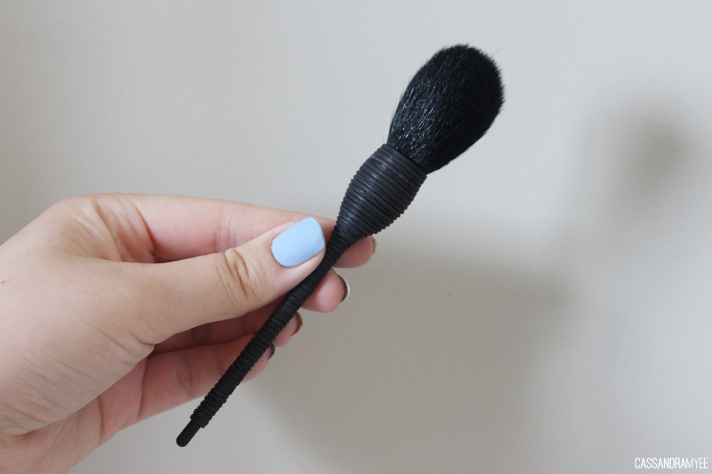 It surprisingly feels very soft and the bristles are well packed so it picks up just the right amount of product. I find, especially with The Balm Mary-Lou Manzier, you need a very light hand unless you want to come off looking like a disco ball, and lightly tapping this brush in the pan, picks up and distributes the perfect amount of highlighter to the top of the cheekbones. So not only is it an amazing looking brush, it actually does an amazing job and is a great tool to have. 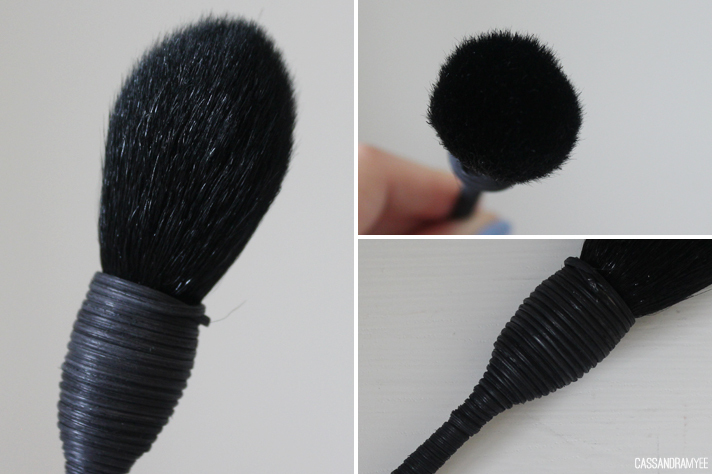 Have you tried a brush like this before? Or do you own the real deal from NARS? I'd love to know your thoughts in the comments.